Property 14: Karingal 4 - Townhouse On The Beach! 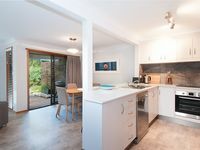 Property 17: Byron Bay family home with everything - Great deal! 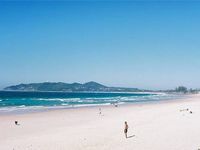 Somerset@Byron is the perfect getaway for your next visit to Byron Bay. Property 22: Somerset@Byron is the perfect getaway for your next visit to Byron Bay. Barefoot at Dolphins - the perfect place to unwind. Property 47: Barefoot at Dolphins - the perfect place to unwind. We had an amazing time at Calinda Sol 7. The complex itself is tidy and quiet and includes a pool and tennis court which is great! It's just a few minutes walk to the beach and close enough to walk to town too. The Ray White staff were excellent too. We had a problem with an air conditioner and they were so prompt and helpful and had it fixed straight away. Thanks guys! Looking forward to our next trip. Our stay at AquaBlue was fantastic. Beautifully situated across from a wonderful beach where we spent many hours surfing, walking and lounging. Great walk on the beach to town. Easy coffees at the Cafe&rsquo;s next door in the mornings with a spot of WiFi. Steve was excellent host...very prompt at answering questions. We loved our Xmas away from home&mdash;AquaBlue perfectly fit our family of four. The downstairs front patio was the spot to share some food and if it was too hot we lounged inside in the spacious kitchen and living room. The bedrooms upstairs were nice and ceiling fans helped keep it cool. The bird sounds were amazing so we enjoyed just shutting the screen doors. We watched some of the DVD movies in the evening in the ample entertainment system. Thanks we will be back! !